Why face the hassle of removing contact lenses every now and then during the day, when you can have extended contact lenses that can be worn continuously for 24 hours! Yes, there are these extended contact lenses without prescription available with us here at Contact Lenses for Us without prescription for you to buy! Take a look at our complete range and see for yourself. Why extended wear contact lenses? They can be worn continuously 24 hours a day, even while sleeping. Some lenses are good for 7 days or up to 30 days and then discarded. 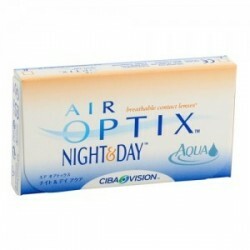 They are highly recommended for people who prefer a more convenient solution to clearer vision. Extended wear contact lenses require very little cleaning and maintenance. So you can see that these contact lenses have plenty of benefits to offer as compared the usual contact lenses. It would be a wise choice to make, considering the fact that these lenses bring so many added benefits along with them as compared the usual daily disposable contact lenses. But before you go ahead and place your order for these extended contact lenses without prescription, we would recommend you to ask your optician to confirm that extended wear contacts are suitable for you. After all, you would not want to take any rise with your vision. Would you? 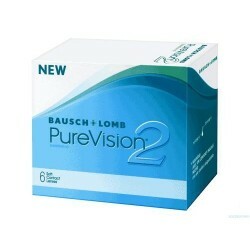 Wide range of contact lenses with prescription! Confused about which brand to buy? We have it all covered for you! If you are looking for options, then we have got it all covered with us. Go through our complete range of extended contact lenses that we have available for you and get to know what you have been missing out on for all these years. So, what are you waiting for? Go ahead and place your order now! Extended Wear |Night and day There are 3 products.